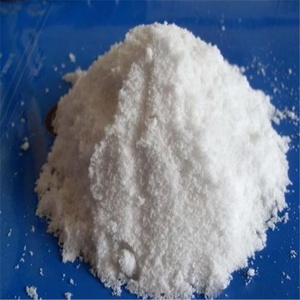 Oxalic acid Specification: Oxalic acid Usage: Oxalic Acid 1) Metallurgy industry :As precipitating and resolving agent for rare earth metal,etc. 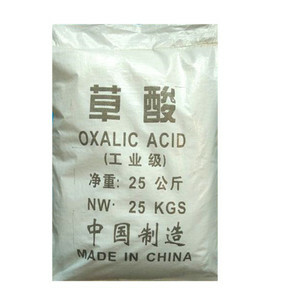 Oxalic acid Usage: Oxalic Acid 1.Electronic industry: to make electronic materials, to clean integrate circuit board. 2.Metallurgy industry: as precipitating and resolving agent for rare earth metal, etc. , Crovell also supply various industrial chemicals for customers, such as citric acid,potassium chloride etc. 2. In time delivery; various documents available for registration and customs clearance clearance purpose. 5. Provide market informations to make customers fully informed. In Metallurgy industry: as precipitating and separating function for Rare-earth metal. 2). 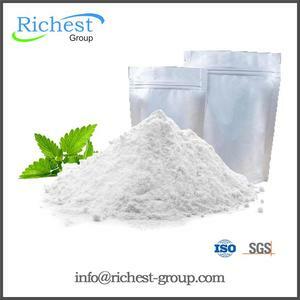 In pharmaceutical industry: used in Tetracycline, Oxytetracycline, and Borneol, etc. 3). In electron industry: preparation of chemicals raw material for porcelain capacitor, preparation of electron equipment detergent. 7). Usage : Metallurgy Industry: As precipitating and resolving agent for rare earth metal, etc. Printing Industry: to be used as Dyeing agent. Medicine Industry: For making tetracydine, HCL etc. Metallurgy industry: as precipitating and resolving agent for rare earth metal, etc. Others: as laboratory agent, solvents, activator and basic materials for chemical industry. Packing: 1.In plastic woven bag 25kg net, lined with PE bag. 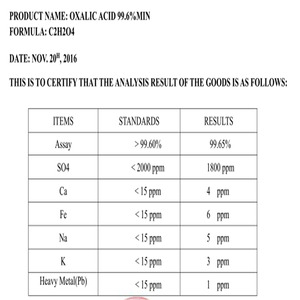 Oxalic Acid 99.6% with high quality lowest price ISO9001:2000 Enterprise AAA Grade Credit company Free sample SGS inspection Product name: Oxalic Acid 99.6% CAS NO. : 144-62-7 Molecular Formula: H2C2O4.2H2O Appearance: Colorless, odorless bright crystals. 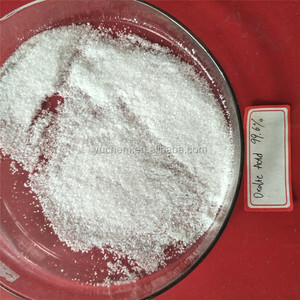 Specifications: Content&ge;% 99.6 SO 4 2- &le;% 0.07 Residue on ignition&le;% 0.10 Heavy metal(Pb) &le;% 0.0005 Fe&le;% 0.0005 Chloride(Cl) &le;% 0.0005 Use: Pharmaceutical industry,precipitating agent of rare earth elements,bleaching,metal and marble polish, cleanser removing stains,tanning industry,printing and dyeing catalytic agent,anti-shrinkage finishing of paper, manufacturing oxalates. 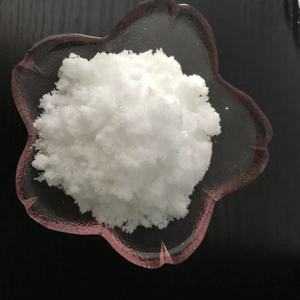 11 YRS Shanghai Polymet Commodities Ltd.
10 YRS Weifang Huabo Chemical Co., Ltd.
Properties of oxalic acid dihydrate : The product is white crystal. It is soluble in water,alcohol and ethyl ether. Shipping: We can ship the goods by contaienr or by bulk. 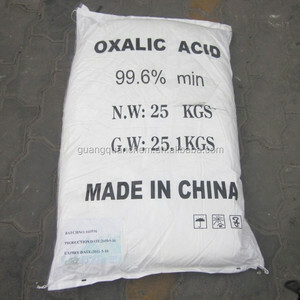 Alibaba.com offers 132 refined oxalic acid products. About 96% of these are organic acid, 1% are food additives. A wide variety of refined oxalic acid options are available to you, such as free samples. 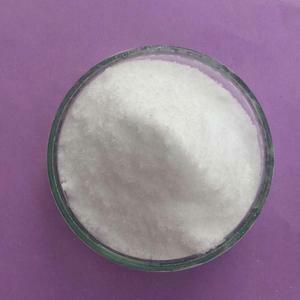 There are 132 refined oxalic acid suppliers, mainly located in Asia. The top supplying country is China (Mainland), which supply 100% of refined oxalic acid respectively. 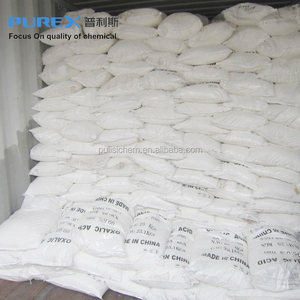 Refined oxalic acid products are most popular in Southeast Asia, Domestic Market, and South America. You can ensure product safety by selecting from certified suppliers, including 35 with ISO9001, 30 with Other, and 1 with FSC certification.